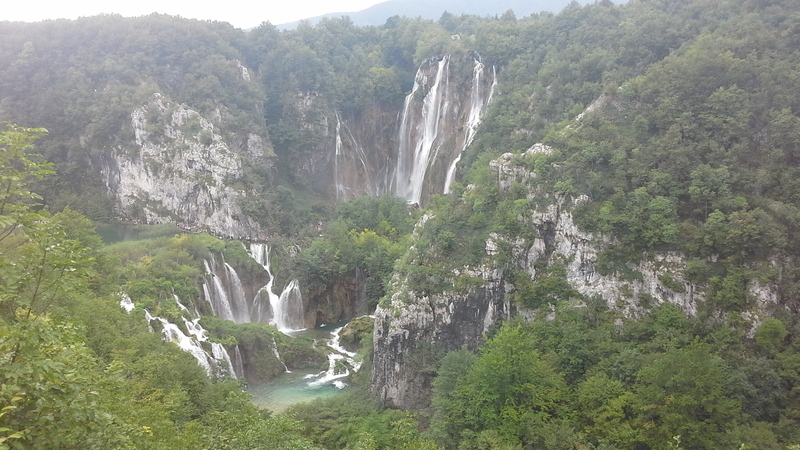 I spent two days at Plitvice Lakes, a beautiful national park situated between Zagreb and Zadar, in Croatia. It really is quite stunning but was ridiculously busy when I visited. I got there shortly before 11AM and had to queue for an hour and a half to get in, then queue again to leave my bag in left luggage (because I wasn’t allowed to check-in at the hotel before 2PM). There were too many people, all vying for space to take photos (because everybody, it seemed, needed to take a photo of their family in every possible combination of people in front of every possible view). Then you needed to queue for drinks, queue for bathrooms or whatever else. However if you walked far enough away from the main areas it was a little more tranquil. Only a little though. I read that they have brown bears there; the literature warned that they would be ‘more scared of you then you are of them’, which I think would be very unlikely but never mind. No bears in evidence on this day though. I was quite disappointed. I’ve always wanted to see a bear in the wild. Instead, lots of ducks, birds and fishes as compensation. The trick in August is to get off of the familiar trails as quickly as possible and hopefully you will get a bit of space to yourself, increasing your chance of spotting some interesting wildlife. Or better still, I suppose, don’t go in August and there will be much more space. Yes this was summer too and I really don’t think I saw it at its best, although still very pretty. 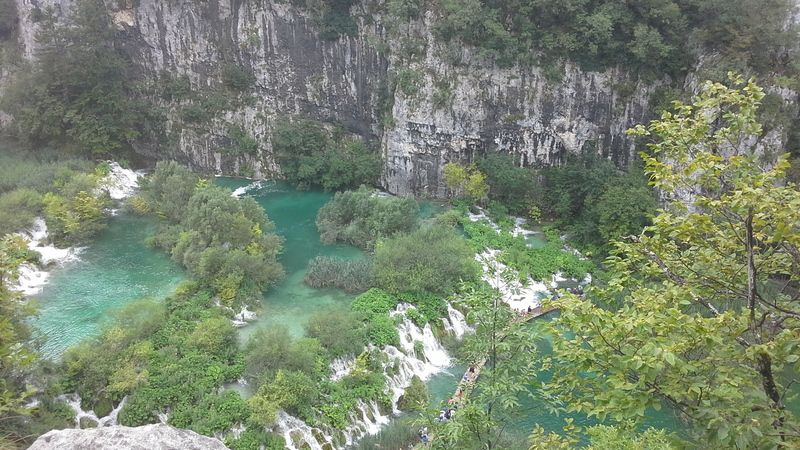 Mainly there were just too many people there (even though I’m a tourist myself I’m really intolerant of others).